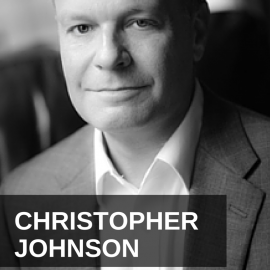 Christopher Johnson is the CEO of the Whitehorn Group and a contributor to Branding Magazine. He joins the show to discuss the development of facial recognition software for marketing. The conversation then turns to branding and how a celebrity association with a brand can be like lightning in a bottle. Johnson believes brands can positively impact humanity, so he shares tips on how people can improve their own personal brands. Narrator: Want to know what you’ve missed in the new Creating Wealth series? Well here’s your opportunity with Jason’s 5 book set. That’s shows 1-100 for digital download. You save $288 by getting this 5 book set. Learn all of the advanced strategies for wealth creation. For more details go to JasonHartman.com. Jason Hartman: It’s my pleasure to welcome Christopher Johnson. He is CEO of the Whitehorn Group and a contributor to branding magazine. And you’ve all probably seen or at least heard of the movie Minority Report. We’re going to start off with that topic and talk about how in the future, or maybe today marketers will be using facial recognition software in their marketing. Chris welcome. How are you? Chris Johnson: Very well, thanks. Jason Hartman: Good. Before we dive into some more general marketing and branding topics, which will be fascinating as well, I’d like to start off with this facial recognition area. Wow, really? Talk about another blow to privacy, right? Chris Johnson: Yes, and it’s already happening in a very deep way. Not just in the United States, but overseas. It is something that had become much more integrated into our daily lives than you may realize. The idea of public privacy is rapidly disappearing in all of our lives, whether we like it or not. There is some structure that is beginning to be considered. Right now, it’s more or less opt in or opt out. And as a matter of fact, just since February, the US Commerce Department is having I guess what you would call an open mic session speaking with industry analysts and technology experts about how to set the rules on probably as we’re talking tonight. Jason Hartman: So tell us what marketers are doing with facial recognition. They’re doing it already I guess, huh? Jason Hartman: Right on the gas pump. Okay, so it recognizes gender and age and serves up advertising appropriate to that. But it can’t recognize your exact age of course, but your age range, right? Chris Johnson: Well, there is something called facial mapping. Apple just finished with the patent in December that will allow if any of your listeners are using iPhones, we all are now unlocking our phones with our fingerprints. It’s the new thing. The next thing is your face print, and there’s a patent that they’re on their way to securing that will unlock your computer or your iPhone, thank you very much, with your face. Jason Hartman: So, I sort of wonder if that can be tricked easily, although that’s not really the point of our discussion. But just as a tangential issue, couldn’t someone hold up a picture of me and open my phone or my computer? Maybe not. Maybe it could tell the difference. Chris Johnson: Good question. It’s virtually impossible. It has to do with ambient lighting, motion and other qualifications that would know whether or not you’re really there. Jason Hartman: Wow. Amazing. Well so, this opens up a Pandora’s box. I remember reading about how bars and nightclubs were using this a couple of years ago, where they were broadcasting or they were surveying, I’m not sure which, the male to female ratio in the clubs. Now personally, as a male, I would think this would be terrible for bar owners because almost every bar is full of males and there’s never enough females, you know? I never think the ratio is ever in balance. But I’m sure many others feel the same way. Did you hear about that one? Did you catch that story? Chris Johnson: Yes I did. The use of facial recognition technology in public spaces is growing rapidly. As a matter of fact, the tech measurement firms are predicting somewhere north of a six, possibly ten billion dollar industry within say the next five years. Which is nothing small. The largest retailers in the country are lining up through their lobbyists and through their representatives in order to get a piece of the pie one way or the other. The majority, pick them, Walmart or Target, they’re focusing mostly on security and on enabling a smoother shopper experience. Security of course is everything you could imagine in a large public space, where shoplifting is rampant and other issues. Jason Hartman: Oh boy. Parents will hate this because their kids will be nagging them to buy them everything under the sun as if they aren’t already. Wow. Husbands might hate it too. Chris Johnson: Exactly. This is not a small thing; it’s a big thing. As a matter of fact, an article I wrote about 6 months ago when I was really [00:07:30] I was watching technology develop, [0:07:34.7] I called on the same thing that they enacted almost a decade ago, maybe longer [0:07:43.7], right? If you did not want your family dinner disturbed or you did not want your cellphone to be called by telemarketing firms, you could list yourself and it’s worked fairly well. Jason Hartman: On the do not call list, sure. Chris Johnson: Well I said, so not face. Jason Hartman: Yeah, right. Do not face. Do not remember my image, but that one is a lot more tricky. And when you first mentioned it, when you talked about the person filling their car up with gasoline and the kiosk now a lot of these gas pumps have a screen above it and it plays commercials, but I thought you were talking about it recognizing the specific individual. Which Google claims they can do quite well, and if it ever comes to Google Glass, I guess right now they’re not allowing is to be used although the technology is there, but we know TSA uses this type of thing for airport security and stuff, and probably London, England, the most cameraed city on Earth. It’s just absurd that the Brit’s have put up with that. They’ve got cameras everywhere, and I’m sure they’re using this type of stuff. But when I look at iPhoto that I use on my mac, it’s terrible at recognizing faces. I mean, wow. It mixes people up like crazy. I try to use it to find pictures of people, and it’s like is this so and so? And I’m like, no it’s definitely not. It’s so and so. This is definitely not the same person. So I don’t know how good it really is. I’m sure it will improve over time. Chris Johnson: Yes, your face is like your finger print. It could be, let’s see, I believe it was in 2010 one of the large brands ran a campaign through Facebook that allowed, if you opted in they would find your doppelganger. Jason Hartman: Oh really? Wow. Okay. Chris Johnson: It was a marketing ploy in order for them to get attention. And there were similarities of course, but you may not know someone who looks like Jason Hartman. So Facebook would find someone and put it in and it’s pretty shocking the lookalikes that they found. So that gained a lot of attention. And there’s also, maybe you’ve seen some of these, recently some larger brands like Nike and I think Adidas may have something similar too, where they use the ability where you can move your face and your computer’s camera can track the motion of your face. So you can cause a YouTube video to blink on and off by closing and opening your eyes, by blinking. There are basic things like this that are being used. And of course, kids love this kind of stuff because it’s new and different and they can control a YouTube video by using their face. It’s a little different than knowing, but you have to wonder, Facebook is on record for investing 60 million dollars, which to them is a drop in a bucket, in a facial recognition technology. So you have Facebook actively engaging in marketing campaigns with major brands, you have every face in the world pretty much on Facebook tagged more or less. Because we all tag our photos. We have to. Jason Hartman:Well, Facebook will do it for you with amazing accuracy by the way. Chris Johnson: Yes. And then you combine that with their need to generate revenue and deliver value to their shareholders and to the world, and when you start to think forward just a bit, you begin to understand exactly what is happening. Where, in the world of micro-slicing ad dollars and targeted marketing, which in a way we all want, because who wants to have a barrage of information about products and services that you don’t need? So it’s a tradeoff. It’s the same trade off we all make when we watch a television show on a major broadcast network. We’re giving up our 30 seconds of attention for the benefit of the programming. And since Facebook is a free service at the moment, that’s how they’re supporting themselves. And this isn’t going away. It’s just going to get more and more pervasive and people are going to get really nervous for a while. Jason Hartman: And then they’re going to come to accept it, and that’s just the way it is. That’s always the way these things go. Chris Johnson: Yes. We hope that it gives us, in the best scenario, a more secure world, right? And a more efficient world, a world that’s safer for our children, a world where our children are safe. I don’t know about you, but I don’t like my daughter to see commercial programming at all, because I know a lot about how it’s produced and I’m very aware of how deeply major brands calculate the appeal. Down to colors, sounds, everything. Children’s minds are so permeable and easy to influence at that age. Where suddenly you have a child asking you for a box of some kind of cereal that’s just horrendous for them because they saw it on TV. So, those are the things that are going to become a bigger deal, because when your teenage children go to the mall they are walking by digitally enabled kiosks that can recognize their age and their gender and flash ads to them as they’re shopping. It is going to change habits and it’s going to change commercial results as well, which may not be a bad thing. A profitable brand is a brand that has an efficient bottom line. So using advertising or resources which are limited for any brand effectively to create value or commercial outcomes is always a good thing. Jason Hartman: Yeah it’s like every new technology; it’s a mixed bag of course. But you know I didn’t want to totally spend all the time talking about this, because it’s darn interesting Chris, and it’s also very scary at the same time, so all of your comments and critiques of it are well taken but let’s just kind of change gears and talk about some things that we can use in our own business today and one of them is celebrity association. Talk a little bit about that. You’ve written on that, and we all know back in the old days Ed McMahon and Publishers clearing house and celebrity branding and celebrity endorsement has been around for a long time. Are there any new distinctions or recommendations for it? Jason Hartman: I’m sorry, I didn’t even hear the name. Talking about who? Jason Hartman: Madonna. Oh yes, Madonna who keeps reinventing herself. Great personal brand, by the way. Chris Johnson: Yes, very strong. And the thing that I said essentially was that she’s doing it right. And the reason she’s doing it right is because she’s not leveraging her core competency, which is her musicianship, her music, in order to get an endorsement check. She’s creating other businesses and partnership with various business people that know what they’re doing. The operators at Hard Candy Gem are some of the best in the world as a matter of fact. And the name of one of her CDs is Hard Candy of course, it’s associated with her music, but it’s not directly, she’s not putting her career on the line for an endorsement check like so many other more famous musicians do it. Last year Lil’ Wayne got into a major war with Gatorade, if you remember that. Because he said a few things they didn’t like and next thing you know he’s off and Gatorade’s doing PR damage control and Lil’ Wayne is embarrassed. So endorsements are rough. The reason is because an artist always has a right to deliver the message that they want to and their fans will accept. However, brands imagine themselves as generally large corporations with a lot of levels and they tend to be more conservative. So with that really strong connection between the two, it doesn’t last. It doesn’t last long. There’s only some that work well, and I’ve always counseled the celebrities that we’ve helped and some of the major brands that work with them, there needs to be almost an equal infusion of brand DNA so to speak, from both. A famous example is Michael Jordan with Air Jordan’s and Nike’s. That’s going strong over two decades later. And the reason is because Jordan really is involved. And was involved in the beginning, and walked the talk, wore the product, designed the product, and the product was as much about his career and his performance and playing as Nike was about creating the best that they possibly could. It was a marriage made in heaven. And the dollars prove it. There are very few brand endorsements that last very long. And I hate to say it, but it’s like marriage. Like marriage in our contemporary society, many of them end in divorce now because that’s the way things go. Jason Hartman: Well, so how can brands positively impact the world? You talk about that too. Chris Johnson: Sure. Well, my approach to branding may be a bit different than just in the marketer’s point of view. I feel that branding is a business function similar to human resources and finance that requires a tremendous amount of investment and management. And also requires that the senior of any business are deeply involved and committed. It’s a strategic activity that goes way beyond the next ad campaign or making sure everybody recognizes your logo. It’s a 360 degree activity that touches upon experience, the experience that your customers have. It touches upon the bottom line, it touches upon the culture that’s inside of your business or your organization. And it of course influences a great deal about the future. The best brands plan far ahead or at least they attempt to envision the future 10 or 20 years out for their business and then work backwards from there. In terms of helping the world, well if we’re talking about large public companies that are producing commercial products for the global market, the best thing that brands do is they create jobs. And doing so in a way that is not damaging to people’s lives. In other words, in emerging market economies where you don’t have children or people working for such low wages that they’re suffering in order for large profits. 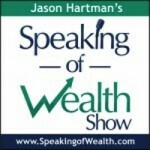 Jason Hartman: I really wrestle with that whole sweat shop thing. I don’t know. Certainly a reasonable level of working conditions and child labor, I certainly want some decency there, but at the same token the people that are against this third world developing country labor stuff are like, well the people aren’t forced to take the job, it’s not slavery, they’re working out of their own free will. I don’t understand. I don’t know; correct my thinking if you feel free to. But it doesn’t seem like anybody’s holding a gun to anybody’s head and cracking a whip and saying hey you’ve got to work. People are taking jobs because they think it benefits them. How do you reconcile that one? I don’t know. I really don’t know. Jason Hartman: Yeah, I mean look at it. It’s not like an American factory where it’s unionized with a bunch of overpaid, over entitled union thugs, not that I have an opinion about that. And it’s really not the workers honestly, it’s the union bosses who are the thugs because they are stealing from their own workers that they pretend to represent just like American politicians do, and politicians around the world. So maybe I said that a little bit wrong there, and I apologize. But it’s not like OSHA inspects these factories; the Apple factory in Foxconn in China, for example. They’re bringing jobs there and they’re paying the lowest rate they can in order to get people to work out of their own volition, out of free choice. Where is the problem there exactly? Chris Johnson: Well I think maybe one, the choice may not be as free, maybe not as we think, but for anyone living on planet earth simply because the economic reality in their society means that really the only thing available is to leave their family’s ancient village, where they’ve been for many generations living off the land, and being forced to move into a very heavily polluted urban environment and work 16-18 hour days. Chris Johnson: Yeah. I’ve been in some of these places; I’ve been in a lot of these places because I’m a world traveler. The business I’ve worked with, part of the work, you end up somehow or another in the factories. So I’ve been at Foxconn. I was in Mainland China factories 20 years ago. Jason Hartman: Yeah, so what do you think? Chris Johnson: I found the conditions 20 years ago to be extremely rough. Jason Hartman: And they’re better today, I would assume. A little bit better. Chris Johnson: Yeah, Guangzhou, where I spent a lot of time is an infinitely better place. And the middle class is emerging there very strong. We all know about what’s happening in Mainland China. We know that most of these brands are headed there in a big way. The new iPhone was designed for China basically, not us, because the market is just s massive. The tide is rising but not for everyone and not everywhere. Jason Hartman: That’s the problem of economics. It’s just a constant part of humanity, but I don’t know. I say, people move to the cities and choose to take these jobs because they’re better than the alternative. And nobody ever seems to ask, compared to what? That’s a really tough one. But I don’t know, maybe I’ve made half of my listeners really upset with me by bringing this issue up. Maybe half of them totally agree with me; I’m not sure which. But maybe that should lead to the thing that I also want to ask you about before you go and that is the concept of personal branding. I may have just damaged mine by stating my questions here. Jason Hartman: Was that around the Lee Iococca era? Chris Johnson: It was a little before Lee Iacocca. There was a group of men in the 1960s who invented the idea of a corporation purposely crafting a personality for the world. And it happened simultaneously in a couple places in Europe and also in the United States. And when I graduated from Carnegie Mellon, I was fortunate enough to work for a few of these guys before they retired forever. And no one knew what it was and it took a long time to explain to people why I was so passionate about what I was doing. And the first brand I created was when Sperry and Burroughs merged and we called it Unisys. It’s still around and I remember when I saw the brand on television for the first time, the tagline “Power of two” which I developed. And then over the years people started to slowly turn from corporate identity to branding. And it’s been so interesting to me because at the time we did all the Tropicana and the Gillette packaging through the beginning of those huge house files that are still around. And we called those brands; those were the commercial on the shelf brand. And it was less rigorous and less intellectual than corporate identity which was seen as the premier. Now everything is called branding. What I’ve noticed over the past ten years or so is that just about every activity that has anything to do with marketing and presentation somehow people would attach the term branding to it. And I’ve been fascinated by this because to me branding or marketing rather, is nothing more than one detachable outputs from a well-developed brand. It’s like product development or design or other things that constantly cycle forward as consumer preferences and tastes change. Branding is in constant strategic activity that manages all of it from behind the curtains. So personal branding is interesting because I see it as a very strategic activity especially for someone who is working hard to build a media persona. In this day and age, a lot of us professionals can really touch many people. One of the people that I’ve helped for a long time is a guy by the name of Dr. Andrew Weil, who’s a Harvard educated doctor, who is arguably the Grandfather of the natural health movement. If you don’t know who he is, I always say he’s the guy with the beard. That’s how he’s known. He was a New York Time’s bestselling author, he had a great reputation, as a matter of fact he is the Stephen King of nonfiction publishing. He’s the absolutely blockbuster. But he had no brand. He has a reputation and a personality, he had a following, so I spent a great deal of time and energy crafting a brand around the man, so that he could monetize and expand his credibility to the market place. So if any of your listeners are thinking about their own brand, either because they’re professionals, maybe they’re medical professionals or real estate professionals or how the following already on social media and Twitter, [0:27:13.9] on television or wrote a book, I would suggest that what they want to consistently do is pay attention to their key messages and identify which of those are based on their long term business for themselves. It’s almost like things that don’t change. What are the constants from the cradle to the grave that you already stand for and are never going to change and then what is this year’s flavor? Right? Remember always, whether you’re presenting this year’s flavor, or whether you are touching upon your core, and try hard to never let your flavors mix into your base too deeply because it could alter the trajectory of where you’re really headed. Jason Hartman: That’s a great point for people to distinguish. It’s kind of like distinguishing the concept of strategy and tactics or tactics and tools. And here you have your overall brand, but then you have a flavor of the month maybe. A campaign that’s for that year or for that 6 month period that you really want to drive home. So making sure that they don’t conflict and making sure that you don’t become the smaller thing, the campaign or the flavor, you want to be the overall brand. Is that right? Jason Hartman: That’s good advice. I don’t think people distinguish that very well. And I think there’s some great examples of that Chris, in the celebrity world. Where you’ve got someone, well there’s a million examples, but you take Rosie O’ Donnell or Donald Trump, they have their big fight. And this sort of incident then becomes their overall brand. Because it’s so memorable and such a big deal, and you don’t want that to happen. Chris Johnson: Yes. That’s true. That does happen. It has a lot to do with, the management of a personal brand sometimes celebrities think of themselves as people. And they are people, right? They’re living and breathing people. However, there is also a professional brand to the world, where sometimes not every single thing that they do or say will be consistent and it’s a matter of knowing when you’re in the public eye and when you’ve in person. It’s about, I refer to it to a persona management. Instead of a personal brand, by considering it a personal brand, your listeners could also think of their persona, right? It’s almost like creating an avatar. It’s not fake, it’s not false, it is the truth. However, it’s the element of yourself and your career and your profession which you believe are the strongest and which you really want to present to the world in a clear and consistent fashion. Jason Hartman: Right, and you know the big example I should have mentioned a moment ago would be good old Charlie Sheen. Talk about a flavor becoming a brand, unfortunately for him. He really messed that up pretty badly if you ask me. And another one would be Alec Baldwin who is just a raging, rage-aholic. That phone message to his poor daughter, oh my gosh. What a bully. What a jerk. The guy just flies off the handle; he has no anger management ability at all. But that kind of becomes their brand if they’re not careful. Good point. Chris Johnson: It can usurp years of good deeds. One phone call. Jason Hartman: It sure can. It’s unfortunate too. It’s not really fair that the public is that way, but as a brand, as a celebrity and we each have our own brand; even non-celebrities do amongst our smaller peer group. It’s not fair but that’s just the way it is, isn’t it? Chris Johnson: Cheryl Williams just wore that Buffalo Girls hat to the Grammies. Maybe you saw the hat; it really got a long of pick-up. It’s interesting, because if you didn’t know, you didn’t know exactly what he was doing. I thought it was brilliant. Because [0:31:29.2] a very successful fashion business growing and growing, obviously doing really well with music at the moment and collaborating. And he wore a hat that Malcom McLaren, rest in peace, wore in the 80s in one of the first MTV videos made for the hip hop movement in a song called “Buffalo Girls”. And I couldn’t believe that he was wearing that hat, because I remembered that because I was growing up in New York at that time and that was a really big deal. And I just thought it was really smart because he kind of captured all the elements of his own brand in one movement. Jason Hartman: Yeah, right. Yeah, that’s interesting. Good point. Well Chris, tell people where they can find you and learn more about you. You have a great blog by the way. Give out those, I guess you have two sites you want to give out maybe. Chris Johnson: Sure. The easiest way for any of your listeners to find me, is to go to my website which is WhitehornGroup.com and all my contact information is there, along with the blog you mentioned and a lot of other good stuff. Jason Hartman: Fantastic. Well, Christopher Johnson thanks so much for joining us today. Chris Johnson: My pleasure, thank you.